If you need a root canal, you may feel anxious because of the many stories of what an awful, painful experience it can be. But, as any dentist in Los Angeles will tell you, it’s common to have heard misinformation about root canals. You’ll be glad to know that they’re no more uncomfortable than getting a filling! You also might have heard that you won’t feel any pain afterward because the nerve of the tooth is gone. This is usually true, but not always. Confused yet? Not to worry! After reading this blog, you’ll understand more about why there’s so much fear of root canals, how it’s possible to feel pain afterward and why this procedure is much easier than people realize! Where Does Fear of Root Canals Come From? There’s a common misconception about root canals that they’re horribly painful and uncomfortable. In fact, no other procedure strikes fear into the hearts of patients in quite the same way! That’s why so many people feel relieved to learn that they’ll be completely numb before the procedure ever begins. So, if the root canal itself isn’t uncomfortable, where does the bad reputation come from? Much of it stems from the fact that patients usually have severe pain before and, in some cases, mild pain after the procedure. 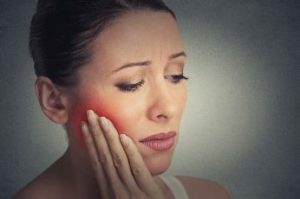 Oftentimes, the initial reason the root canal must be done is so painful that patients wind up calling an emergency dentist in Los Angeles for immediate pain relief. How is it Possible To Feel Pain After a Root Canal? The ligaments surrounding the tooth – Each tooth sits in a tooth socket and attaches to the surrounding bone via tiny, hair-like ligaments. These ligaments still detect pressure and can be somewhat irritated or inflamed after a root canal. Slightly “high” filling – The first part of the procedure involves creating a small opening in the tooth that’s then closed at the end. Sometimes that filling material is a bit “high,” which can cause discomfort. This can also happen with regular dental fillings and simply requires a small adjustment to correct it. Trauma to the tissue beneath the tooth – Occasionally, the instrument used to clean out the nerve canal and remove the infected nerve tissue will extend slightly past the bottom of the root. This can “bruise” the tissue under the tooth and feel sore for a few days. Phantom pain – This occurs when the nerve that leads to the tooth behaves as if it’s still attached, although it isn’t. This is very rare, so the chances are quite low that you’ll experience it. The good news is that each of these possibilities is temporary. Then your tooth will be restored and able to function for many years to come! Dr. Les Latner has decades of experience performing a wide range of dental procedures, including root canals. He understands how frustrating and disconcerting it can be to still have feeling after a root canal and always takes the time to educate his patients on what they can expect. If you have any questions, he can be reached via his website or at (310) 477-1081.
by: Les Latner at May 23, 2018 .